The South Delta Jazz Workshop has been largely self-supporting through tuition fees and concert ticket sales. Keep concert ticket prices low and accessible for the general public and offer free concerts (outdoor and other public venues) at a number of locations throughout Delta. 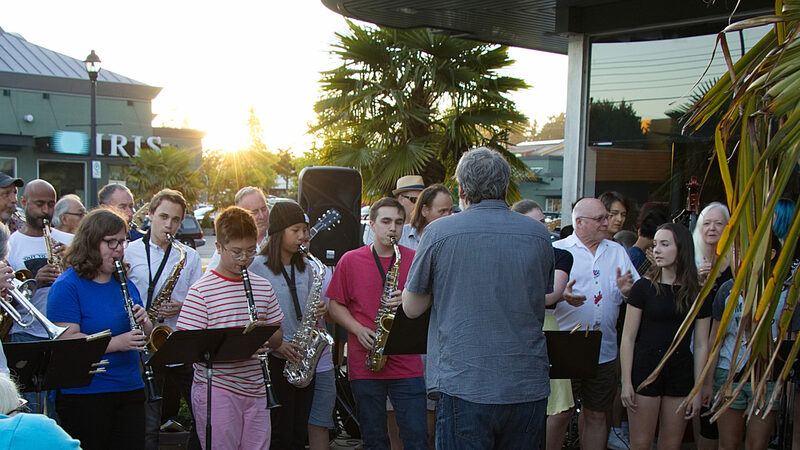 Why Support the South Delta Jazz Workshop? Enrich and enliven the cultural life of Delta through the development of cultural events at a professional level. Help our young people develop and grow musically, socially, and intellectually. The Delta Jazz Workshop began in 2004 and is growing every year. We are working towards expanding the Jazz Festival component of the event as the educational component grows. Thank you to our Festival Sponsors and supporters!